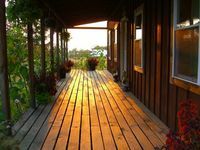 Cozy Cottage, Sleeps 4 (two Bedrooms) Watkins Glen, Seneca Lake Wine Trail. Property 6: Cozy Cottage, Sleeps 4 (two Bedrooms) Watkins Glen, Seneca Lake Wine Trail. Castello: Upscale Cabin With A Beautiful Lake View! Property 10: Castello: Upscale Cabin With A Beautiful Lake View! Property 13: Maple Hideaway:"Lots of Privacy!" Property 14: Shar n' Shack - Cozy Hilltop Cabin in the Woods Right on the Keuka Lake Wine Trail! Seneca Secrets - "Watkins" Cabin - Tranquil Getaway on 10 acres, with Beach! Property 17: Seneca Secrets - "Watkins" Cabin - Tranquil Getaway on 10 acres, with Beach! Dew Point - Sweet little budget-friendly vintage cottage - secluded location! Property 18: Dew Point - Sweet little budget-friendly vintage cottage - secluded location! Property 19: Grey's Getaway Cabin, Finger Lake region Fall foliage getaway, wineries near by! Shorewood Have Fun is a NEW WANETA LAKE RENTAL, AVAILABLE SUMMER 2018!! Property 23: Shorewood Have Fun is a NEW WANETA LAKE RENTAL, AVAILABLE SUMMER 2018!! Secluded Cabin On 20 Acres & 2 Ponds Close To Wineries & Waterfalls. Property 31: Secluded Cabin On 20 Acres & 2 Ponds Close To Wineries & Waterfalls. 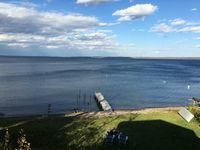 SLEEP Next to a WATERFALL on SENECA LAKEFRONT Pet friendly AVAILABLE NOW ! Property 32: SLEEP Next to a WATERFALL on SENECA LAKEFRONT Pet friendly AVAILABLE NOW ! Romantic getaway or family vacation on 10 acres with beach! Property 35: Romantic getaway or family vacation on 10 acres with beach! Property 36: Grey's Getaway Cabin# 3 Finger lakes area, pet friendly, winter wonder land,! Book NOW for spectacular sunsets on Keuka Wine Trail! Charming & pet friendly! Property 39: Book NOW for spectacular sunsets on Keuka Wine Trail! Charming & pet friendly! Lucky Catch:"Best Cottage on the Best Lake"
Property 48: Lucky Catch:"Best Cottage on the Best Lake"
Our stay Seneca Cottage was fantastic. It&rsquo;s in a fabulous location with amazing views of Seneca Lake and offered all the modern comforts of home without losing its cozy charm. The cottage was a perfect place to help unwind from all the holiday hustle and fun place to be when ringing in 2019! We really loved the hot tub which our daughter called perfectly delightful and we loved the cottage overall!